This article was originally published at the O-Books Blog. 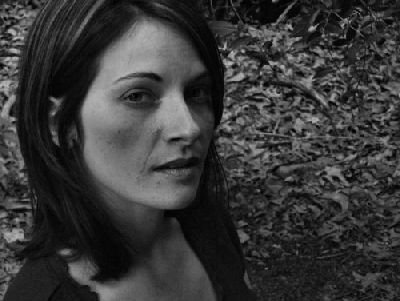 When I first read that Alice had an open call for earth-based manuscripts in Soul Rocks Books’ Teen Spirit series, I thought, “How cool,” and moved on. It’s been a long time since I was a teen, and since there are loads of great intro books on shamanism, I thought nothing more of it. Except that I couldn’t stop thinking about it. At the same time, I was implementing the first year of Tribe of the Modern Mystic, a community I created as part of my Masters work, to provide a real-time web of support for those who want to live their intuitive selves more deeply in everyday experiences. As I put the finishing touches on the Tribe, it hit me like a ton of bricks that I first came into the awareness that I had to live my intuitive self when I was seventeen, the same year that shamanism began chasing me. It was a gritty race, and I spent years gnashing my teeth at the lack of resources, enduring crisis after crisis trying to go it on my own, until I finally just gave in and let life guide. As I recalled that baptism by fire, I knew I would write this book for one simple reason: nobody has to do it that way anymore. I’m not a world authority on shamanism, modern or traditional. I’m not a hardboiled scholar, though I pretend I am in my spare time. I’m also not interested in pushing my ideas or methodologies onto others. The one thing I stumbled into being very good at is sharing my story, in a way that inspires others to find, honor, and share their own. 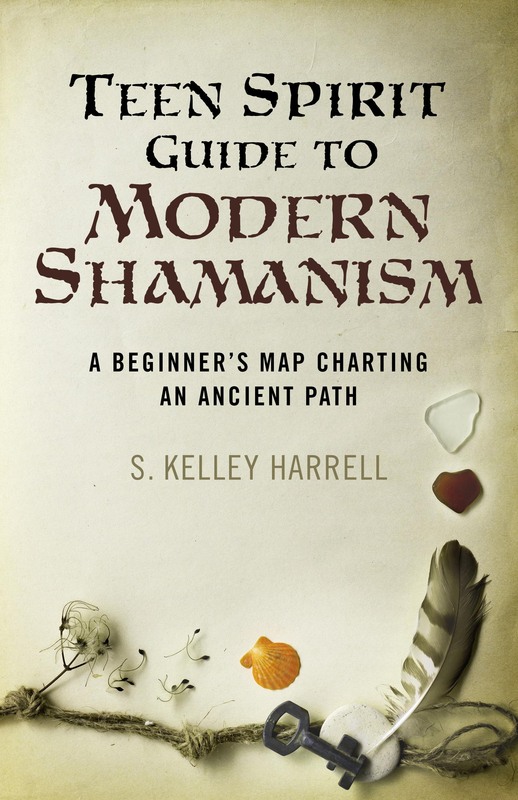 In the spirit of that timeless approach to the healing story, I wrote Teen Spirit Guide to Modern Shamanism. When I announced the book to the shamanistic community, it got mixed reactions. Most were very interested in a tool to help guide youths who are already interested in shamanism. While there are resources for those seeking guidance and support in other aspects of earth-based spirituality, there are no others specifically focused on addressing the interests and concerns of young adult shamanists. In the west, shamanism is entering a unique phase. We’re not pioneering its homecoming into our culture anymore. It’s here. We’re doing this, and we’re taking it down some amazing and unique paths that can only occur in the modern context. Given that fact, and the rooting of animistic perspective in our greener, more sustainable worldview, it’s no surprise at all the those becoming interested in shamanism are young, and those who want to mentor them need unique support in doing so. Likewise, detractors in the community insisted that young people have no business engaging in shamanic endeavors, that they can’t possibly have the maturity or depth to cope with the experiences that result from embarking on this path. Well, guess what? They’re already on this path, and they can tread it with compassionate direction, or they can bounce from spiritual emergency to healing crisis, which in the end, affects us all. As a culture, maybe even as a human collective, we’ve done that long enough. We don’t have to stumble towards ecstasy anymore, at any age. In the interviews I did to support this book, for most of us the wheels of intuitive ingenuity start rolling offroad early in life. In fact, I’d even say we’re born that way. It’s life that shoves us back on the main thoroughfares. For some it’s about more than just intuition, but a delicate art drawing Nature, spirituality, and compassionate living among community all in one. 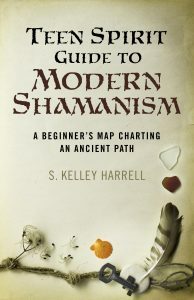 For those teen, young adults, and young-at-heart who want to learn about shamanism in a very personal way, I present Teen Spirit Guide to Modern Shamanism.